The Honeywell® Compact AirGenius 4 Air Cleaner/Odor Reducer offers high efficiency air cleaning in a compact design. I have two dogs, a kitten, allergies and asthma. So I am used to having headaches, sneezing, etc. I have noticed that my headaches are less often, I am not as congested and I can breath easy! This is a mighty unit that works perfectly in my bedroom or living room. 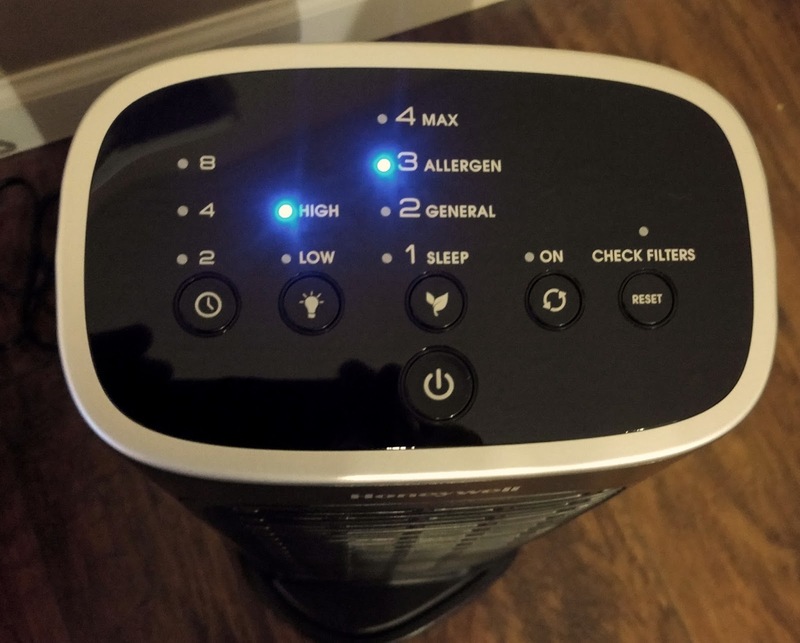 How the air purifier works: A fan continuously draws in airborne pollutants. The dirty air passes through the pre-filter where the larger particles are captured. If desired, you have the option of using the “K” pre-filter which will also absorb odors, gases and VOCs (volatile organic compounds). The optional “K” pre-filter is not washable and must be replaced every 3 months for optimum performance. The air then passes through the patented ifD® filter that attracts dust and allergens like a magnet. 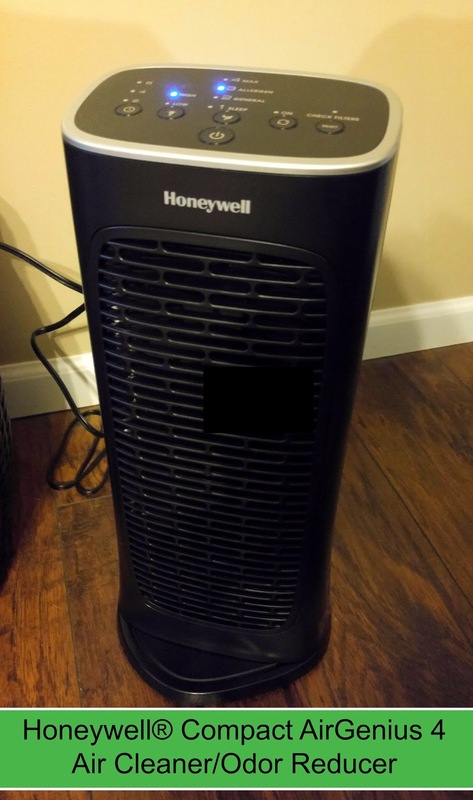 The filtered, cleaner and fresher smelling air is then circulated back into the room. The Compact AirGenius 4 has an oscillation option that will quickly disperse the cleaner air throughout the room. 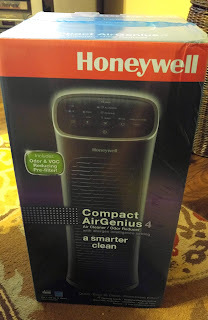 Purchase the Honeywell® Compact AirGenius 4 Air Cleaner/Odor Reducer on Amazon for $129.99 & FREE Shipping.